Prestige Water is an Australian operating supplier of water coolers and water filtration systems since 2001. 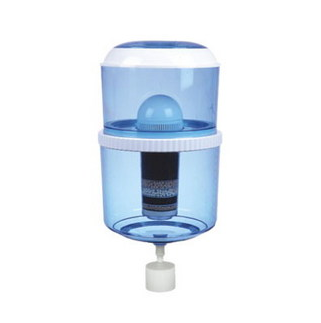 As one of the few suppliers we offer water coolers with a self filling filter bottle. Prestige Water has the quality of it's products and the level in the field of service and cleanliness are a very high priority. In order to guarantee our quality of service and products we like to ask you to inform us with your experience. All this forms the perfect basis for an uniquely distinctive, honest and objective advise in the field of water coolers. Our water cooler clients. Our customer range is very diverse. Small businesses, large corporations, hospitals, nursing homes, government agencies and much more. From home water coolers to multinational companies, Prestige Water is the supplier for water coolers! What sets us apart. On your quest to find the appropriate facility for chilled water with many providers making it difficult to choose the right supplier. For that reason, we find it important to distinguish ourselves by offering added value at a reasonable price. Please feel free to contact us if you have any questions and we are more than happy to advise you which water cooler system is the best for your home or business. Our advise is for free. There is also the added value, Prestige Water will advise you every time when your filter is due for replacement. This is very important, so you never forget when your filter needs to be changed, so you always drink the best quality of water. Prestige Water, your supplier of water coolers. Whether you are looking for a simple water cooler "bench Top or floor standing" or a luxury water cooler "stainless steel", we have it all.